Looked out the window to see a raccoon trying to work his way into the compost bin. I think he was mostly just curious since all that is in there anymore is grass clippings. I thought that the wire mesh and clasps were a bit much, but apparently they worked. 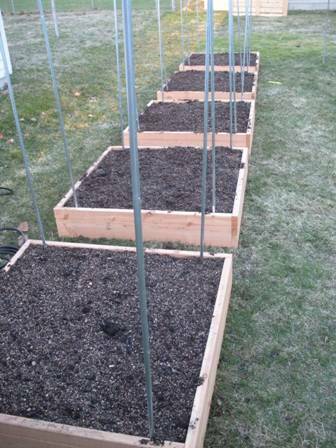 The beds are almost ready for planting! 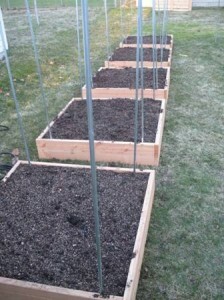 This weekend I finished buying and mixing the soil, the composition of which is based on the mix in Square Foot Gardening by Mel Bartholomew. I wandered around town the last month or so looking for vermiculite, peat moss, and compost. The difficult part was finding compost from different sources as the big home improvement stores only seem to carry the types based on manure. 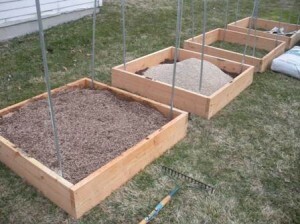 I ended up using cotton burr, humus and manure, grass, and mushroom based compost found mostly at smaller garden and grocery stores. I might actually plant something this week! Adding the different materials for the soil mix. The final mix of vermiculite, peat, and compost. 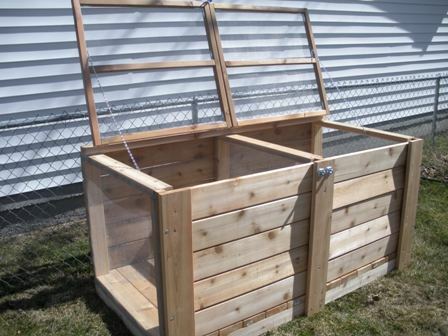 Finally, the compost bin is complete! Continued working on the compost bin today. Again, I spent the morning running errands so I only had a few hours in the afternoon. This is what it looks like at the end of the day today. The compost bin at the end of the second day. 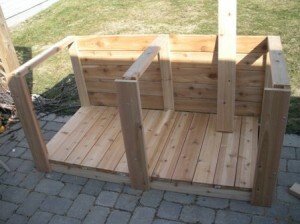 Today I started building a compost bin so I can make my own. I spent most of the morning buying supplies, so I only had the afternoon to work. This is what it looks like at the end of the first day. The project at the end of the first day. 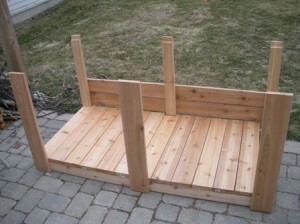 Today I ran around all over town to pick up all the remaining supplies for the compost bin and my raised beds. Vermiculite from Earl May, lumber from Menard’s, hardware from Home Depot, and shock chord from Scheels. Now to put it all together. I started romaine, leaf lettuce, and bell peppers today, just a few of each since I want them staggered so I don’t harvest all at once. I took this week off to get a few projects done around the house, so you should see a bunch more postings in the next few days. I will be building a compost bin and assembling the beds and pest barriers. My kind of fun!